Professional Tiller cultivator for large tractors with 30hp to 80hp with CAT II 3-point hitch. The Victory HTLU tiller is a highly professional machine for thorough tilling any kind of soil on medium and large size land. The working width of 135cm to 235cm and the adjustable working depth of up to 22cm makes the Victory HTLU tiller superior to standard tillers in the medium level price segment. With 540 or 750 RPM PTO shaft speed you can choose seven different rotor shaft speed levels from 158 to 315 RPM for your tiller, depending on the gear setting you choose. The Victory HTLU tiller can be perfectly adjusted to your demands and soil condition. In contrast to other tiller offered in the market, we use between 30 and 54 specially hardened blades, each with a weight of 1075gr. Unlike other tillers using a chain transmission, the Victory HTLU tiller is using heavy maintenance-free oil bath gear transmissions, letting the laser balanced blade shaft run smoothly through even heavy and hard soil. 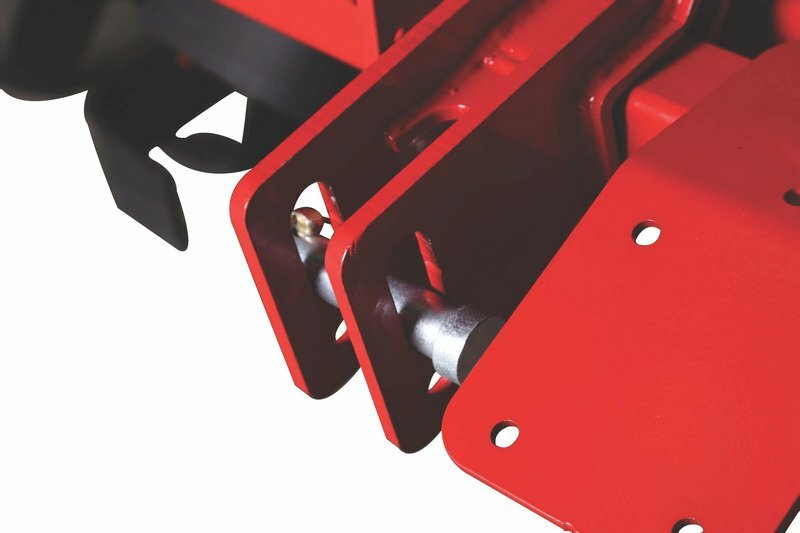 The universal 3-point hitch on the tiller comes with adjustable lower hitch connectors for your Cat II Tractor. Underneath the massive up to 8mm strong steel housing sits the laser balanced rotor shaft of the tiller,. 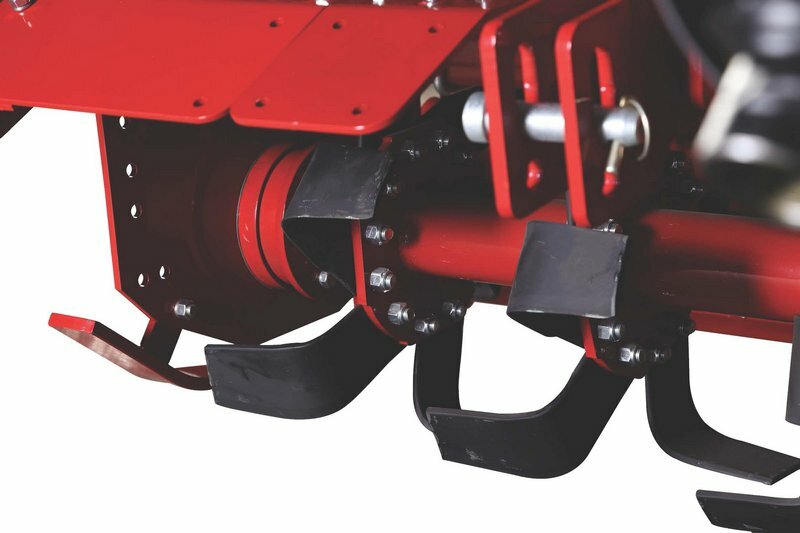 Each flange on the rotor shaft of the tiller is equipped with 6 specially designed L-shaped blades. The blades are made of hardened steel and can be individually exchanged and regrinded. The reinforced free-wheel transmission lets the rotor shaft of the tiller turn, once the PTO is switched off, so that its movement will not be transferred to the tractor. 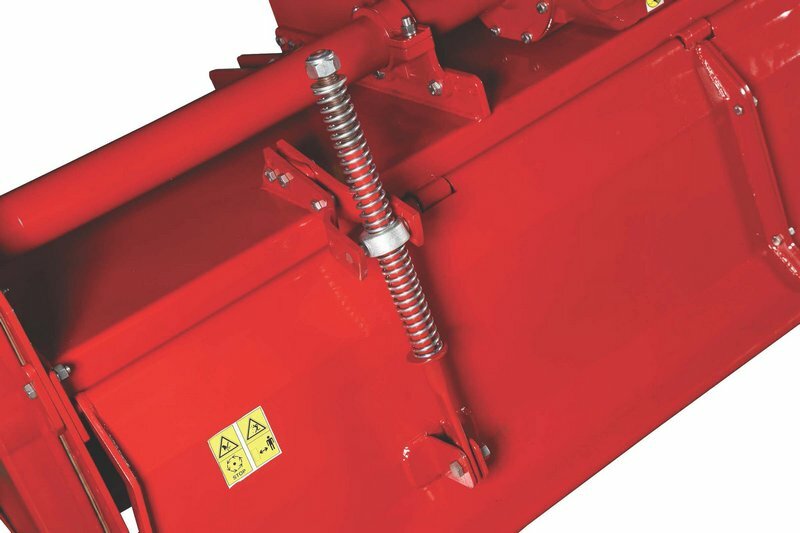 The PTO shaft supplied with the tiller has a friction clutch to perfectly protect tractor and tiller and will also help to adjust to different soil conditions. Strong springs are mounted on the height adjustable rear cover of the HTLU tiller, to provide a smooth finish and comply with latest CE safety specifications. The completely assembled tiller is delivered in the massive Victory crates. Just the 3-point hitch and the PTO shaft protector have to be assembled to the tiller, taking you less than 20min. We offer a multilingual user manual and assembly guide with photos to assist you. The Victory HTLU tillers comply with all safety regulations and are CE tested following the 2006/42/EC machine directive and the respective harmonized standards.